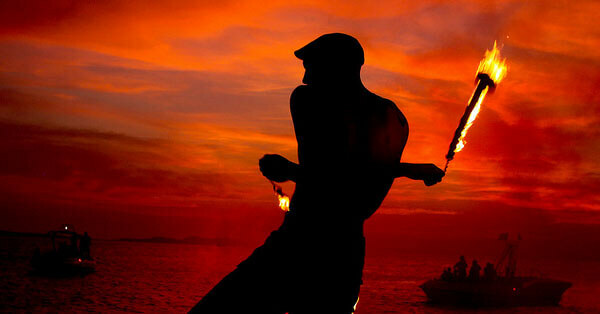 Ibiza has long been a party destination with a fantastic nightlife and more relaxed beach experience during the day. You'll find a selection of visitors here from families to stag parties and couples to groups of friends. With cheap holidays to Ibiza, everyone is looking for a fun vacation in the warm sun. With so many great nightclubs to choose from, it can be difficult to know which clubs you really should experience while holidaying in the area. Space is located in Playa d'en Bossa, just outside the town of Ibiza. The club has an open terrace which makes it unique and a wonderful escape from the dance floor on a hot summers evening. Sundays tend to be the most popular evening to party at Space. This is not just any nightclub; this club was voted the Best Global Club in 2005 and 2006. Café Mambo is more of a sophisticated nightclub experience. This is not where you will find the stag and hen parties, but rather well dressed party goers who are looking for a great night out. The club hosts a cocktail bar and offers light snacks along with top rated DJ's which visit on a regular occasion to make your experience so much more enjoyable. Privilege is one of the top nightclubs in Ibiza; it's also considered one of the largest clubs in the world offering all night parties during the summer months and the most picturesque views. Some of the top names have performed at this Ibiza nightclub including Madonna and P.Diddy, to name but as few. Pacha is one of the oldest clubs in Ibiza and still one of the firm favourites which remains open all year round with a host of famous DJ's entertaining the party goers. Don't be surprised though, while Pacha remains the oldest club in the area, it's also the most expensive, but if you are looking for VIP treatment, a fantastic party atmosphere and the change to see some of the greatest DJ's perform, then this is a must when visiting Ibiza. When in Ibiza you'll notice that the majority of people out for a good time move from club to club throughout the evening, adding variety to their night of partying. These four clubs in one night will be a great experience to remember, a fantastic night of partying on the party island of Ibiza. Last updated by jack on 14 February, 2013 in Travel.